Please pay your attention that each suit is manufactured individually. Term of manufacturing – up to 14 days. Do you go to the gym, do crossfit, regularly participate in regional and federal sports events? Cannot line without sport and active leisure? Than the compression clothes Tayga8 is just the thing that you need! Clothes of the highest quality! It perfectly keeps fit, possesses wonderful elasticity and does not cause discomfort! Cloth: South Korean Biflex Elastic. It provides extensive circumference of muscles (compression), extracts moisture and maintains optimal training temperature for the body. Does not cause allergic reaction. - Temperature of water (important!) not more than 30 degrees. Correct drying of compression clothes. During drying of compression clothes follow 2 rules: do not tumble dry and do not dry at heating radiator, that’s it. So, taking care of compression clothes is quite simple act: Washing rashguard once a week is quite enough, and after each training it is enough just to rinse it in warm water. - Do not wash at the temperature more than 30 degrees. - Do not tumble dry or dry at heating radiator. 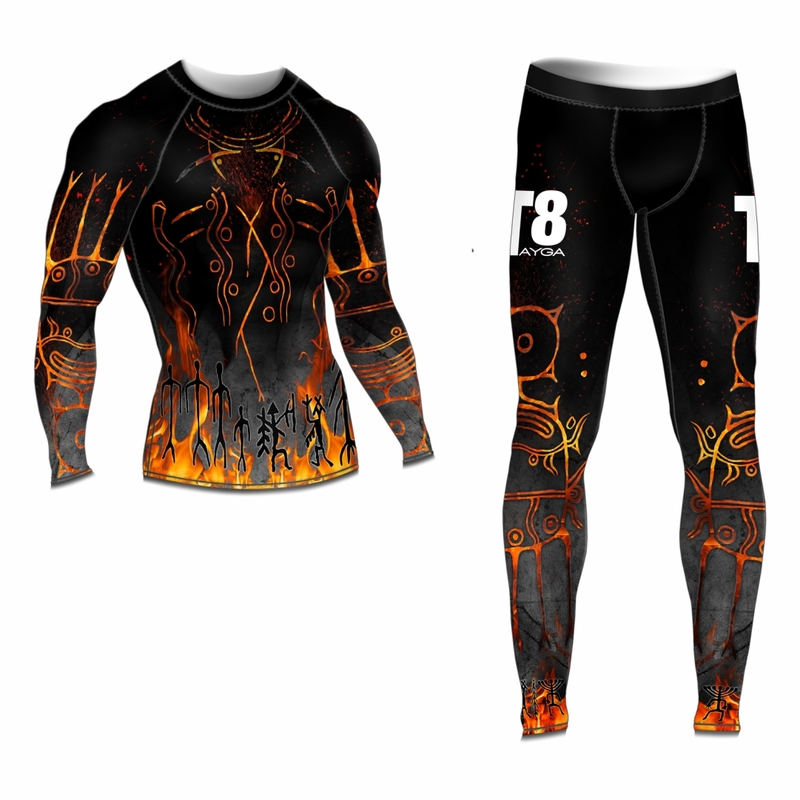 - Do not allow anyone wash or dry your rashguard in incorrect way. By following these simple rules you can be sure that compression clothes will please you by its high quality for a very-very long time!